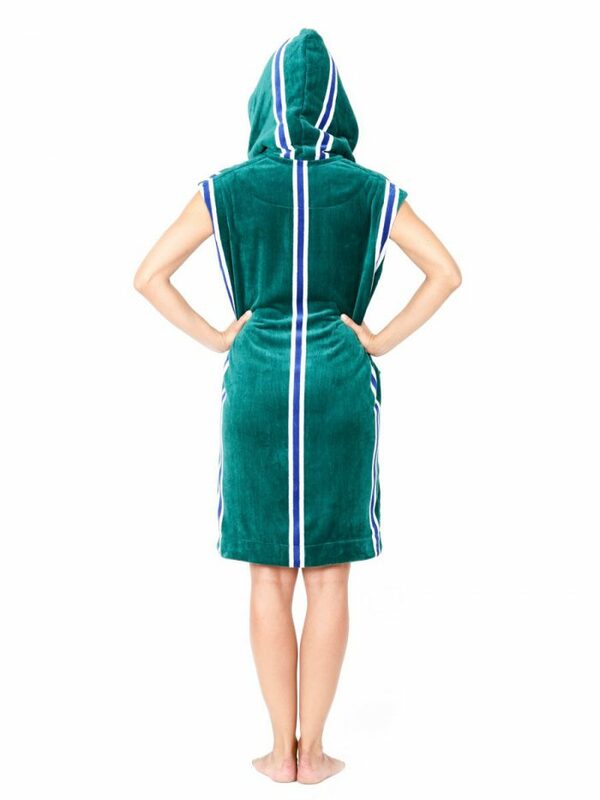 This easy slip on and off women’s robe & parka WITHOUT sleeves is in fabulous racing green with white & blue racing stripes. Once you slip into one of these soft towelling coverups you will find it hard to take a trip to the pool or beach without it! 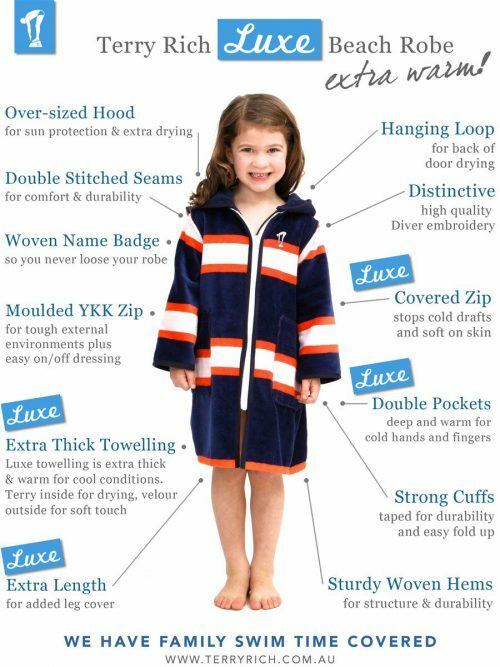 These beautiful women’s swim robes & parkas are such a great accessory for water lovers, whether for by the pool, the beach or for a few laps. This Elite ladies robe is WITHOUT sleeves and just beautiful in fabulous racing green with white & blue racing stripes. 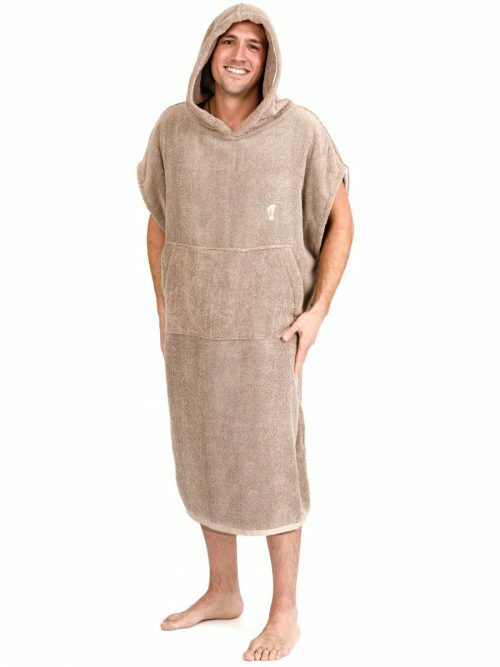 Once you slip into one of these soft towelling coverups you will find it hard to take a trip to the pool or beach without it. Fabric is thick, soft and highly absorbent. Unique features include a full length molded zipper for easy on and off dressing plus made of the highest quality for life long rust-free action. 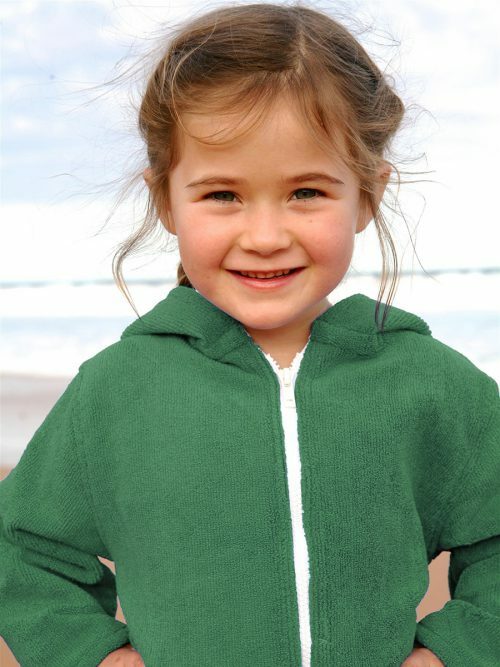 Luxuriously lined, oversized hood for sun protection and wet hair! Fully covered internal seams for comfort and durability. Please note that no zip pockets or waist tie is included with the Sleeveless style. For these added features please review the Women’s Sleeved Swim Robes. 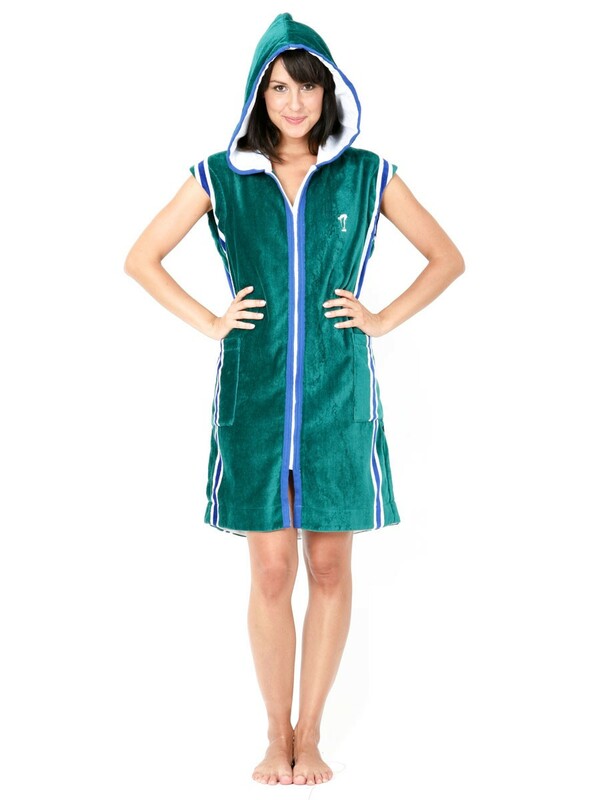 These swim robes are a great cover-up solution for early morning and breezy afternoons or as the sun gets high. Suitable for year round swimming. 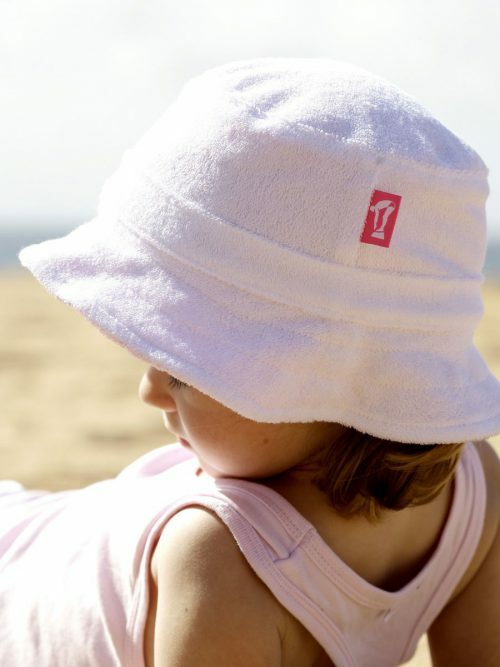 Proudly made in Australia by Terry Rich from 100% premium cotton. 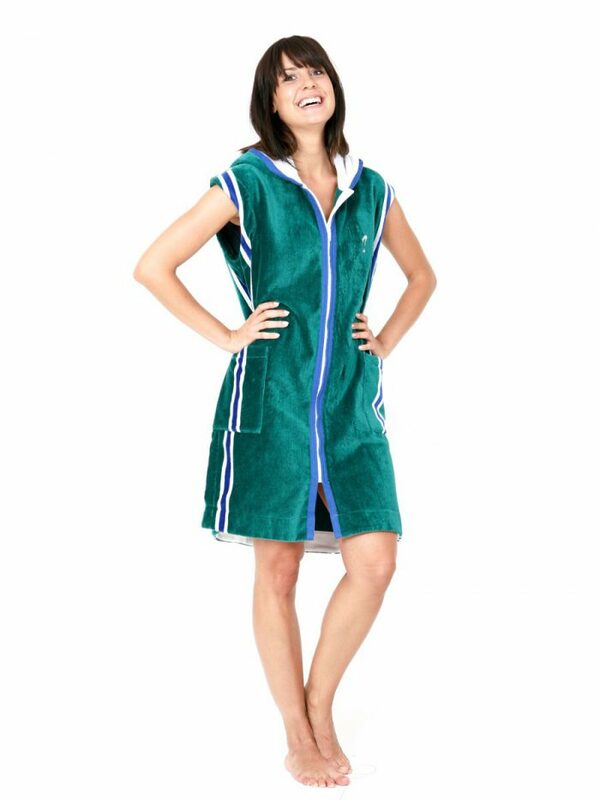 To read more about the features of Women’s Sleeveless Robes, please click here.